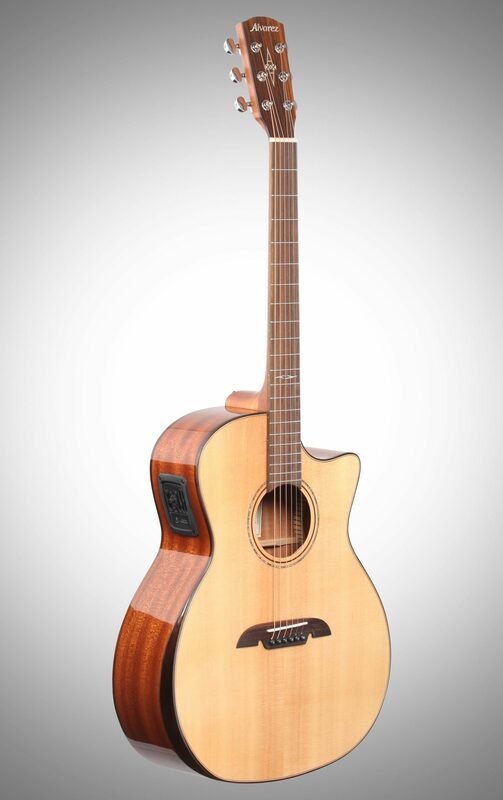 The Alvarez AG60CEAR Grand Auditorium Cutaway Acoustic-Electric Guitar delivers the great tone Artist Series is known for while exhibiting Alvarez's ability to produce beautiful, affordable guitars. 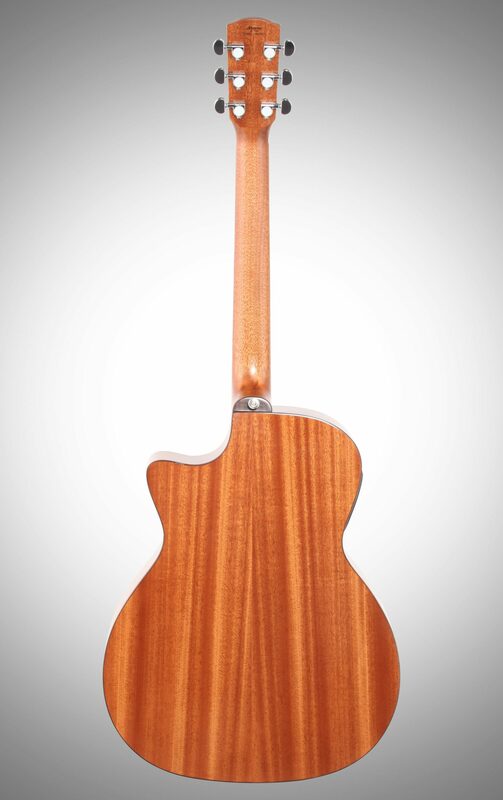 Keeping with Alvarez's philosophy of making great guitars accessible to as many players as possible, Alvarez Artist Series now offers superbly designed armrest models. 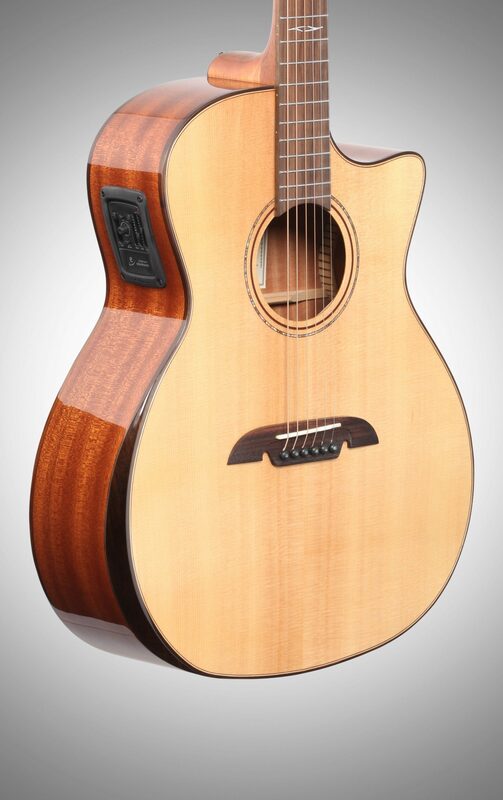 After 50 years of making guitars, continual improvement through the use of emerging technologies, processes, and materials is still at the heart of Alvarez's culture. Alvarez guitars are constructed correctly in every sense, from raw material preparation to construction and manufacturing processes. 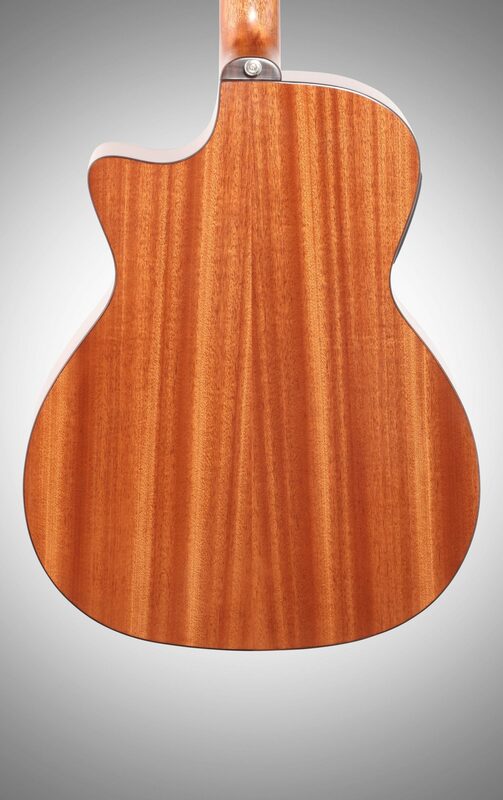 Alvarez tone woods are carefully cured, and components such as neck blocks and wood joints are carefully designed. The painting, sanding and polishing techniques Alvarez uses are continually researched and developed, and the tone is impeccably crafted and married to a stable, consistent and lively sound box. 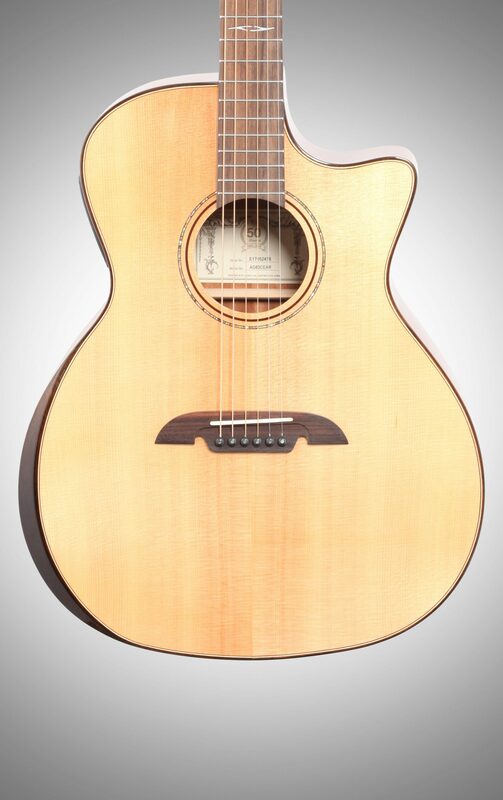 This caring approach to development comes from one simple goal: To deliver the best guitars available at every price point - instruments that are truly an amazing value and offer a fantastic player experience. The term "solid top" of course refers to the soundboard of an acoustic guitar being made of solid wood, rather than being laminated. However, just because the top is solid, it does not necessarily mean the sound automatically benefits from this feature. The tone of the instrument only improves significantly when the whole guitar is built correctly to optimize the energy a solid soundboard can generate. Artist Series is built to do exactly this. Each model is designed to get the best out if its components, and for them to work together to produce balance, lively projection and great response. 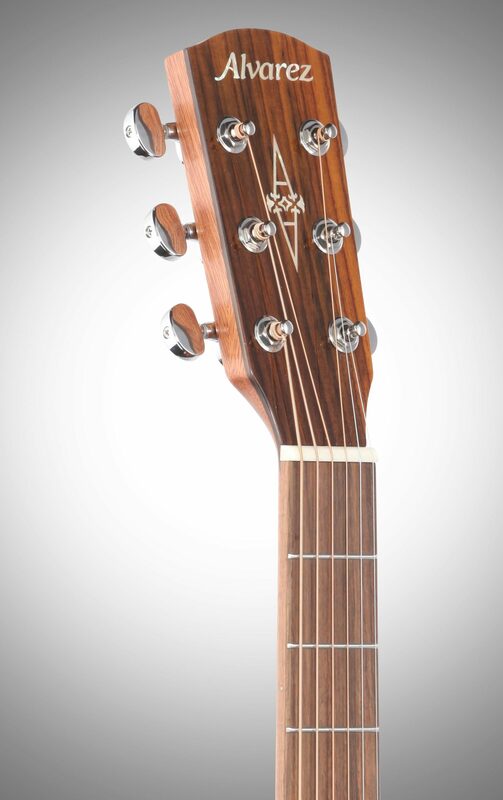 These components include the innovative FST2 bracing system, bi-level rosewood bridge, real bone nut and saddle, great quality tone woods and thin finish. 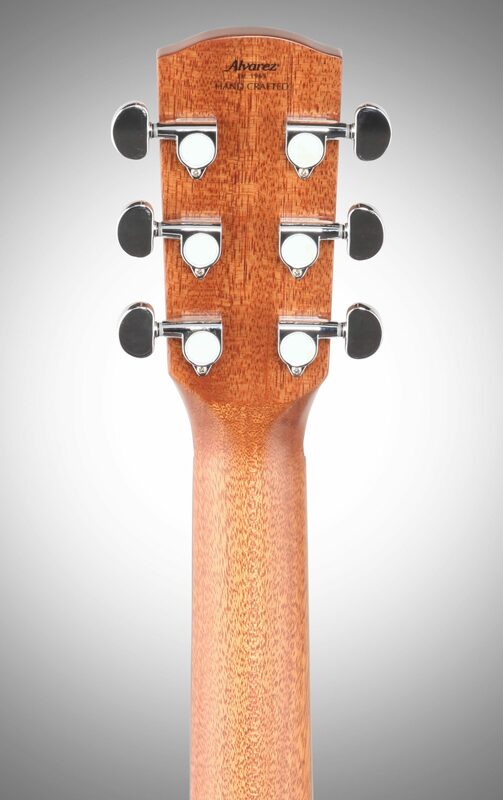 FST2 is a forward shifted X brace design -- this means the axis of the X is closer to the sound hole and therefore creates a larger soundboard area allowing for more energy and vibration to be harnessed. Both the X braces and asymmetric tone bars are carefully scalloped. The scalloping design was the result of years of continual development in Alvarez-Yairi workshops. The Artist Series sound and personality is open and powerful. FST2 also creates very good balance, so both the treble and bass registers are clearly present and balanced in relation to each other. 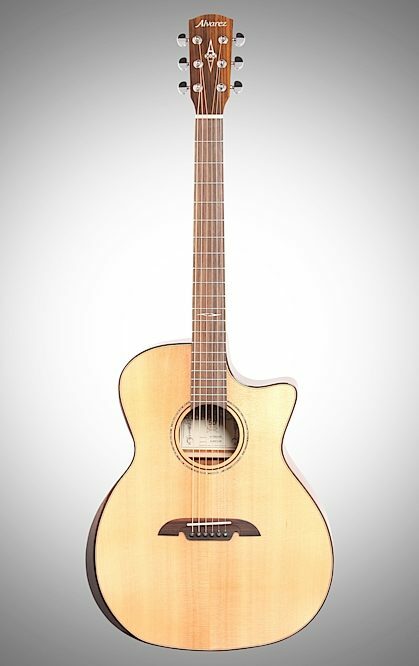 Artist Series feel right and are exciting to play; no matter if you are strumming hard or picking lightly, the guitar will do what you ask of it.